LOS ANGELES (AP) — Nipsey Hussle's family and friends gathered Friday for a private funeral on a day when the slain rapper was also honored by his hometown of Los Angeles. NEW YORK (AP) — HBO's "Leaving Neverland" is heading up the charts. 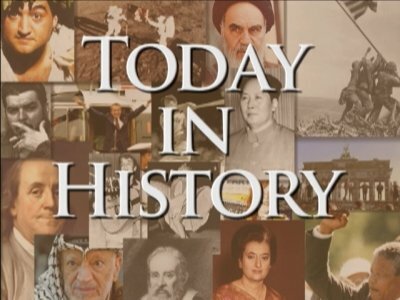 LOS ANGELES (AP) — A Hollywood writer and director has announced the death of his wife and longtime collaborator, Gloria Katz, who co-wrote "American Graffiti" and helped give Princess Leia her power in "Star Wars." She was 76. Carrie Fisher taught John Boyega how to be himself. The 26-year-old actor starred alongside the late actress - who passed away in December 2016 aged 60 - in the two most recent 'Star Wars' movies, and has admitted the best piece of advice he ever got from the iconic Princess Leia was to have the "freedom" to be who he is. Mark Hamill thinks it would be "tough recasting" Carrie Fisher in 'Star Wars: Episode IX'. The 60-year-old actress shot to fame as Princess Leia in the original 'Star Wars' trilogy and reprised her role in the current set of movies, however, in 2016, Fisher tragically passed away after shooting her scenes for the eighth instalment, 'The Last Jedi'. Drew Barrymore used to love visiting the late Carrie Fisher and is "proud" she survived her famous parties. Here’s what’s new for home viewing on Video on Demand and Netflix, Amazon Prime, Hulu and other streaming services. Mark Hamill has revealed George Lucas' intentions for his 'Star Wars' alter-ego. 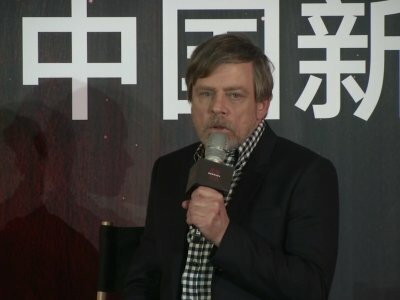 The 66-year-old actor portrayed Jedi Master Luke Skywalker in Lucas' original trilogy and reprised his role in the seventh and eighth instalments of the hit sci-fi franchise. 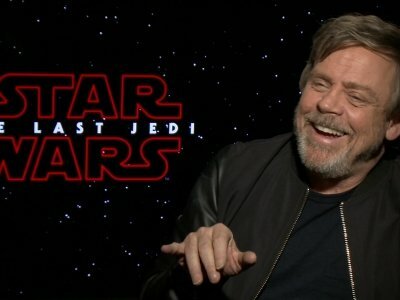 Despite only returning for 30 seconds at the end of J.J Abrams' 2015 'The Force Awakens', Hamill had a larger role in Rian Johnson's 'The Last Jedi' - which was released last year. Mark Hamill revealed an iconic 'Star Wars' scene had to be reshot following a character name change. Most fans of the popular sci-fi franchise will know that Hamill's Jedi Master character Luke Skywalker was originally supposed to have the surname Starkiller. And Hamill has revealed in the first original movie 'A New Hope' the scene where Luke and Han Solo (Harrison Ford) rescue Princess Leia (Carrie Fisher) had to be shot again. Another billion-dollar blockbuster chronicling George Lucas' galaxy far, far away moves from movie to home theaters to unleash a nearly perfect ultra-high definition experience in Star Wars: Episode VIII The Last Jedi, Ultimate Collector's Edition (Walt Disney Studios Home Entertainment, rated PG-13, 152 minutes, 2.39:1 aspect ratio, $29.99). Mark Hamill was honored Thursday with a star on the Hollywood Walk of Fame, and his "Star Wars" co-star Harrison Ford paid tribute not only to Hamill but also to someone who couldn't be with them. "I was really sorry that we don't have the other member of our trio here to celebrate with us," Ford said, referring to the late Carrie Fisher, according to The Wrap. "But I feel her presence." Carrie Underwood is lending a helping hand to a former classmate and one of Checotah, Oklahoma's finest. Checotah Assistant Police Chief Justin Durrett is recovering in the ICU from serious injuries after being involved in a recent rollover crash. Checotah is Underwood's hometown, and Durrett is a childhood friend. His injuries include a broken neck, bruised spine and numbness from his chest down. On Saturday, Underwood made a $10,000 donation to Durrett's GoFundMe page to assist him and his family with medical bills. The superstar donated using her married name, Carrie Fisher. Carrie Underwood is lending a helping hand to a former classmate and one of Checotah, Oklahoma's finest. Checotah Assistant Police Chief Justin Durrett is recovering in the ICU from serious injuries after being involved in a recent rollover crash. Checotah is Underwood's hometown, and Durrett is a childhood friend. His injuries include a broken neck, bruised spine and numbness from his chest down. On Saturday, Underwood made a $10,000 donation to Durrett's GoFund-Me page to assist him and his family with medical bills. The superstar donated using her married name, Carrie Fisher. The billionaire founder of Microsoft will appear in an episode slated for March, in which Penny (Kaley Cuoco) hosts the tech billionaire at work and Sheldon (Jim Parsons), Leonard (Johnny Galecki), Raj (Kunal Nayaar) and Howard (Simon Helberg) do everything in their power to meet him. J.J. Abrams believes some fans' panned 'Star Wars: The Last Jedi' because they felt "threatened" by the strong female stars. The 51-year-old filmmaker will return to the franchise after he helmed 2015's acclaimed 'The Force Awakens', in the place of Colin Trevorrow who was let go due to "differing visions for the project". Laura Dern has paid tribute to "goddess" Carrie Fisher on the anniversary of her death. The 'Star Wars' actress sadly passed away on December 27th 2016 at the age of 60, and to mark the one-year anniversary since her shock passing, Laura took to Instagram to honour the "icon and truth-teller." Carrie Fisher's daughter paid an emotional tribute to her on the first anniversary of her death. Carrie passed away on December 27, 2016, and exactly one year later, her actress daughter Billie Lourd travelled to Norway to see the Northern Lights, which her mother was obsessed with. The new “Star Wars” movie is here! Confession: I'm not a Star Wars superfan. I like it, but I haven't seen the movies a million times. I like the Ewoks but hate Jar Jar Binks. I didn't like the prequels. I am a fan of Chewbacca. I think that covers it. If you want to read a review by a super fan, I suggest this one by Demetri Ravanos. LOS ANGELES (AP) — "Star Wars: The Last Jedi" is off to a death star-sized start at the box office. Disney says Friday that the eighth installment in the space franchise has earned an estimated $45 million from Thursday night showings. 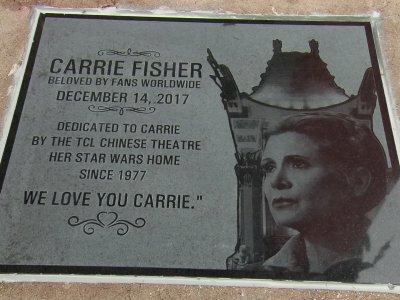 Carrie Fisher's life and career have been celebrated in a commemorative ceremony at the TCL Chinese Theatre in Hollywood. 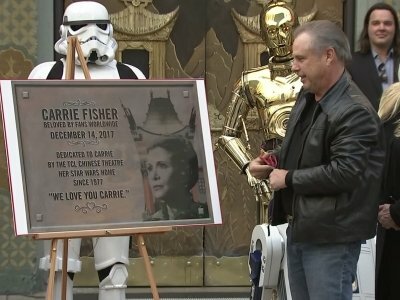 Todd Fisher, younger brother of the late 'Star Wars' actress, was among guests who paid tribute to Carrie as a memorial plaque was installed at the iconic cinema in Los Angeles on Thursday (14.12.17). There is a passionate subculture that is dedicated to the “Star Wars” franchise, religiously dissecting every nuance of every episode to the point where they can conduct seminars on the subject. Then there are the casual fans of the series, who appreciate the creativity and pure entertainment value of inter-galactic fantasy. As a member of the second category, I found the latest installment, “Star Wars: The Last Jedi,” now open in theaters, to be a fun and fascinating time at the movies. Does ‘Star Wars: The Last Jedi’ have anything after the credits? Does 'Star Wars: The Last Jedi' have anything after the credits? CLEVELAND, Ohio -- No, "The Last Jedi" doesn't have a post-credits scene. What do you think this is, "The Avengers?" Enjoy a movie getting excellent reviews and may the Force be with you. Oh, and there is a nice nod to Carrie Fisher in the actual credits. CLEVELAND, Ohio -- What's new in theaters this weekend? Just a little film called "Star Wars: The Last Jedi." Perhaps you heard of it? Yes, Episode VIII in the saga set in the galaxy far, far away is expected to run away with the lion's share of the box office returns, but there two other new movies in the critically acclaimed drama "The Shape of Water" and the animated feature "Ferdinand" that deserve your attention as well. "Star Wars: The Last Jedi" hits theaters Thursday night, and there's a lot that fans know from the previous film, "The Force Awakens," and even more that could just be pure speculation from the new trailer. Who is Rey? Who's the last Jedi this film is speaking of and how will "The Last Jedi" say goodbye to the character of Gen. Leia Organa, portrayed by Carrie Fisher? Here are the top questions and concerns that need to be answered upon the release of "Star Wars: The Last Jedi." CLEVELAND, Ohio -- There's a reason to stay for the credits at the conclusion of "Star Wars: The Last Jedi." No, Lucasfilm hasn't taken a page out of Marvel's playbook with a post-credits scene, but there is a touching tribute to the late Carrie Fisher midway through the end titles. "In loving memory of our princess, Carrie Fisher," a simple title card reads. LOS ANGELES (AP) — There were cheers, gasps, droid photo opportunities, casino games and more than a few standing ovations at the jam-packed world premiere of "Star Wars: The Last Jedi" Saturday night in Los Angeles, which many are already praising online. Rian Johnson, the writer and director of the eighth installment of the franchise, dedicated the night to the late Carrie Fisher, who died after filming had completed. If you like your “Star Wars” super-sized on a six-story screen, you’ll want to see “Star Wars: The Last Jedi” at the IMAX Theater at The Maritime Aquarium at Norwalk. The aquarium’s IMAX Theater is one of only 10 venues in the country that will be showing this science fiction/fantasy film in old-school 70mm IMAX film projection. The next closest is in Philadelphia, making Norwalk the best place to see it in all of New England. Carrie Fisher's beloved dog has a cameo in 'Star Wars: The Last Jedi'. The iconic actress shot some scenes as General Leia Organa in the upcoming movie before her tragic passing at the age of 60 last December, and eagled-eyed fans have now caught a glimpse of her loyal French bulldog Gary in promotional photos from the movie. LOS ANGELES (AP) — Carrie Fisher may have been the "madcap Auntie Mame" to Mark Hamill's "square" homebody, but despite their differences, the Star Wars siblings got along famously right till the end. Mark Hamill "regrets" not spending more time with Billie Lourd when she was a child. The 66-year-old actor considers Billie - who is the daughter of the late Carrie Fisher, who passed away at the age of 60 last December - to be his "niece" despite not being related by blood, and has revealed he would have liked to have bonded more with her when she was younger. Mark Hamill remembers his late “Star Wars” co-star Carrie Fisher as not only his screen sibling but as almost a real-life sister. Honestly, the best way to review Speechless would not be to write about it. Instead, I would come to your house to show you the expression on my face as I left the show: beatific smile, with huge tears streaming down my cheeks. We remember Margarita Taguilas, Ruben and Ofelia, and a young girl cradling her dog. We remember Cesar Chavez, Carrie Fisher, Jimi Hendrix, Georgia O’Keeffe and a forgotten slave cemetery in Virginia. And most of all, we remember an ancient Mexican tradition — Dia de los Muertos — still alive in the 21st century in all of its manifestations both north and south of the border. Carrie Fisher sent a cow tongue to a Hollywood producer who sexually harassed her friend. The 'Star Wars' actress - who passed away in December 2016, aged 60 - came to the defence of her long-time friend and writer Heather Ross in an unusual way, after Heather revealed she'd been harassed by a producer, who pushed her against the seat of a car and held her down. Carrie Fisher's dog has watched the 'Star Wars: The Last Jedi' trailer. The newly released trailer for the eighth instalment of the popular sci-fi franchise features an appearance by the late actress, who filmed her scenes for the movie prior to her tragic passing in December at the age of 60 after suffering a cardiac arrest. And in a touching photo posted on Instagram on Monday (09.10.17), the late star's pet French bulldog Gary Fisher was seen settling down to watch his owner in the trailer. LOS ANGELES (AP) — The trailer for "Star Wars: The Last Jedi" debuted in dramatic fashion during "Monday Night Football" halftime. Fireworks flashed and Stormtroopers marched onto Chicago's Soldier Field as the preview played onscreen.